Selsor Coaxial Cables deliver radio signals at a much higher frequency than Twisted Pair Cables and Multi Core Cables. 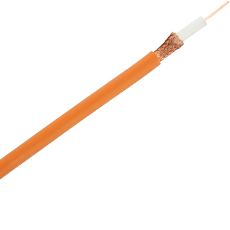 Used frequently in CCTV, broadcast and computer networks (CCTV, SMATV, CATV and HDTV), Coaxial Cables deliver single and multiple video signals. Selsor Coaxial Cables meet RG59, RG6 and RG11 and CT standards and are available in a variety of options covering conductor size and type, dielectric compound and diameter, braiding material and coverage and sheath/jacketing compounds. Our choice of combinations means you can be sure to order a cable that is suitable for your environmental conditions whilst delivering optimal transmission performance. Selsor Coaxial cables / CCTV cables conform to relevant industry standards and are supplied with the Selsor product warranty.